Having some fun with the sun! We see it every day in the sky. 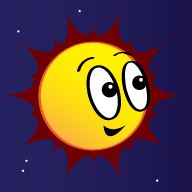 Our sun is a burning ball of superheated gas. Even though it’s 93 million miles (149.6 million kilometers) away, we can feel its heat and light on Earth. 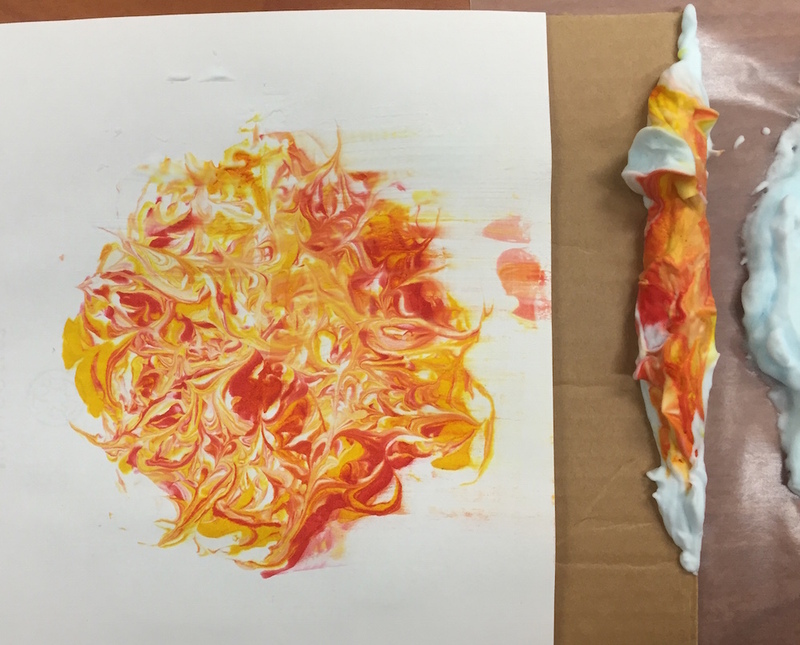 Make this marbled paper that looks just like our sun. Cut off a square of wax paper and tape it down. You don’t want it moving around. 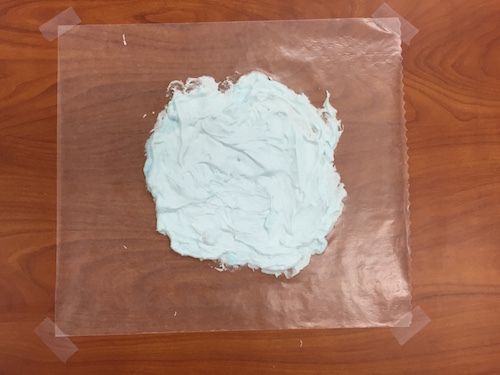 Spread shaving cream over your wax paper and make sure it’s nice and smooth and foamy. Make it roughly circle shaped. 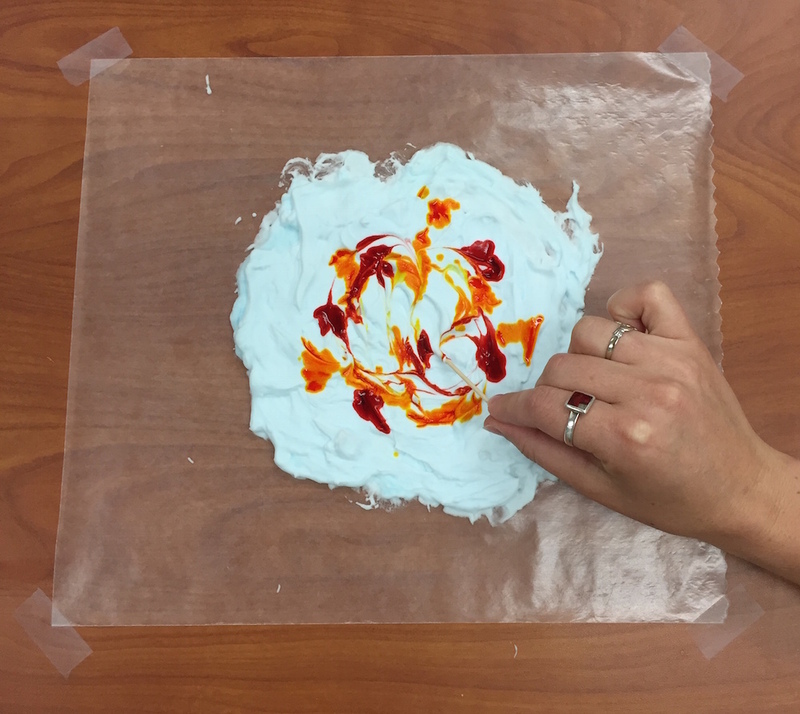 Drop five drops of red and yellow food coloring in a circular area. 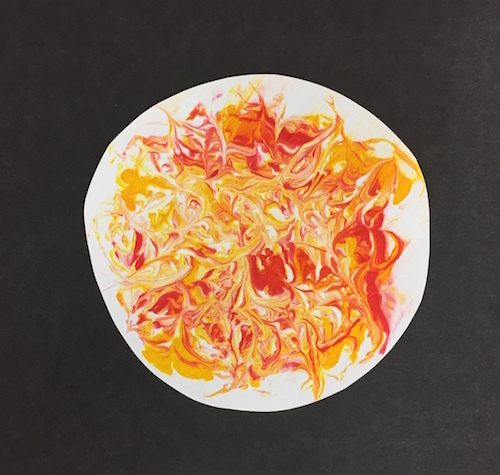 Use your toothpicks to swirl the red and yellow colors together in a circle. 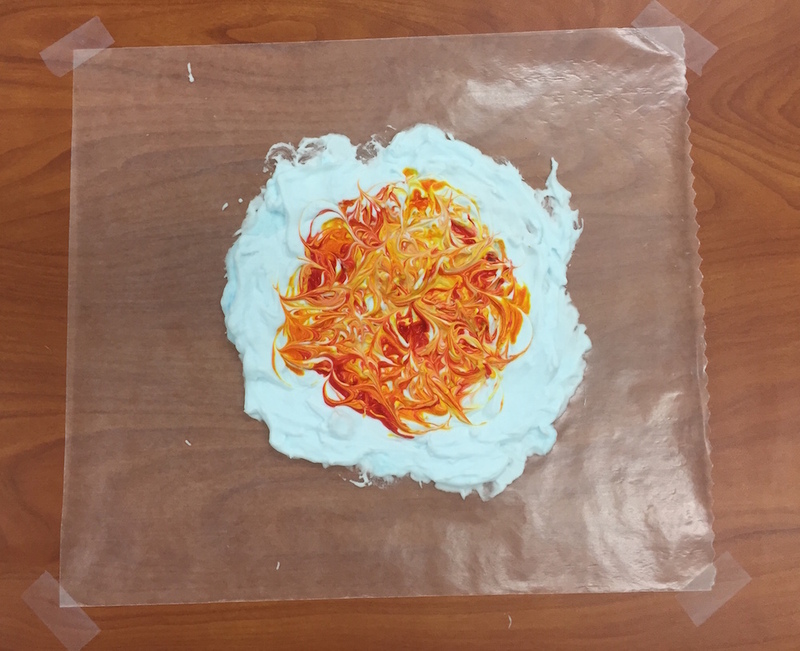 Place your paper right on top of the shaving cream and food coloring. Press it down lightly. 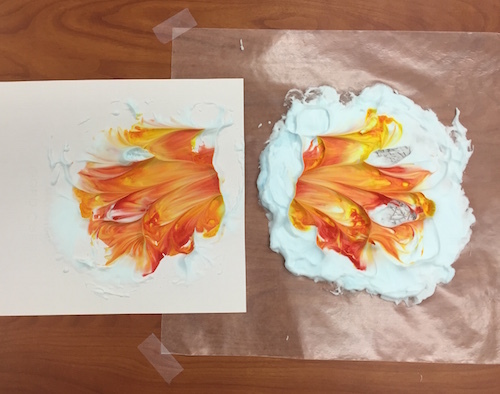 Give it a few seconds to absorb the dye. 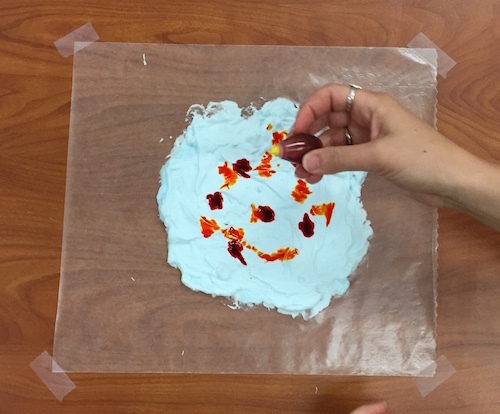 Pull the paper off and set it down. It will look like a big glob of orange shaving cream at this point. 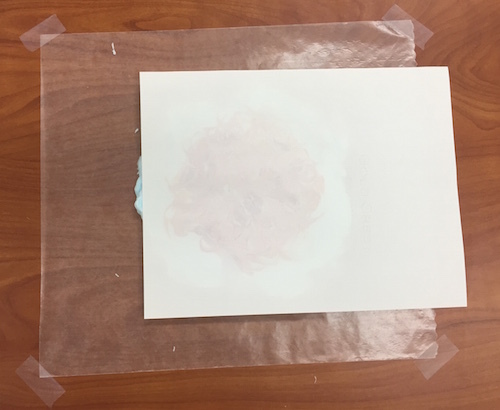 Gently scrape off the shaving cream with a squeegee or piece of cardboard with a nice flat edge. 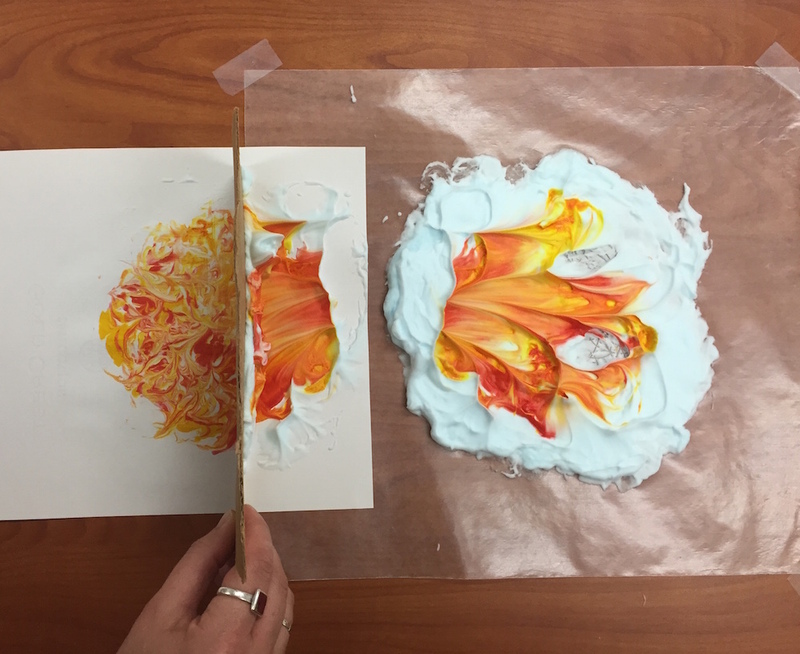 Allow your paper to dry, and blot off any extra shaving cream with a paper towel. Be careful not to smear the food coloring before it dries, though! Cut out your sun shape! Make it into a greeting card. 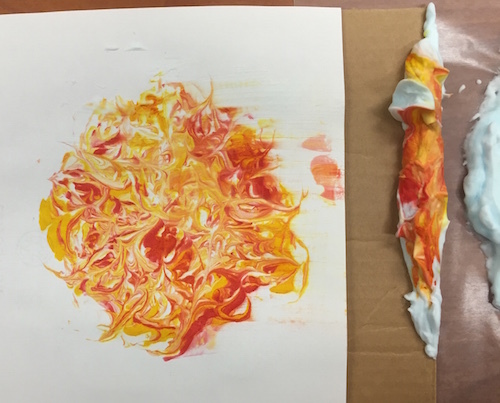 Dye an entire piece of paper and use it as wrapping paper. 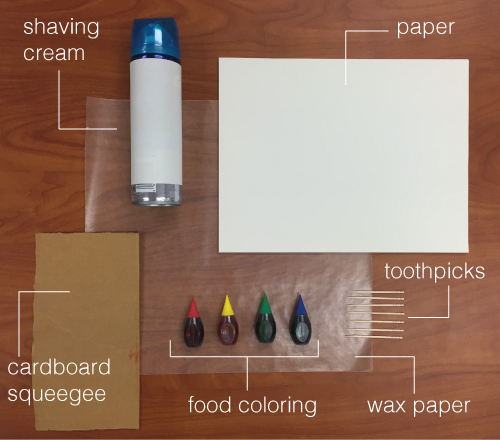 Glue it to black construction paper and frame it.